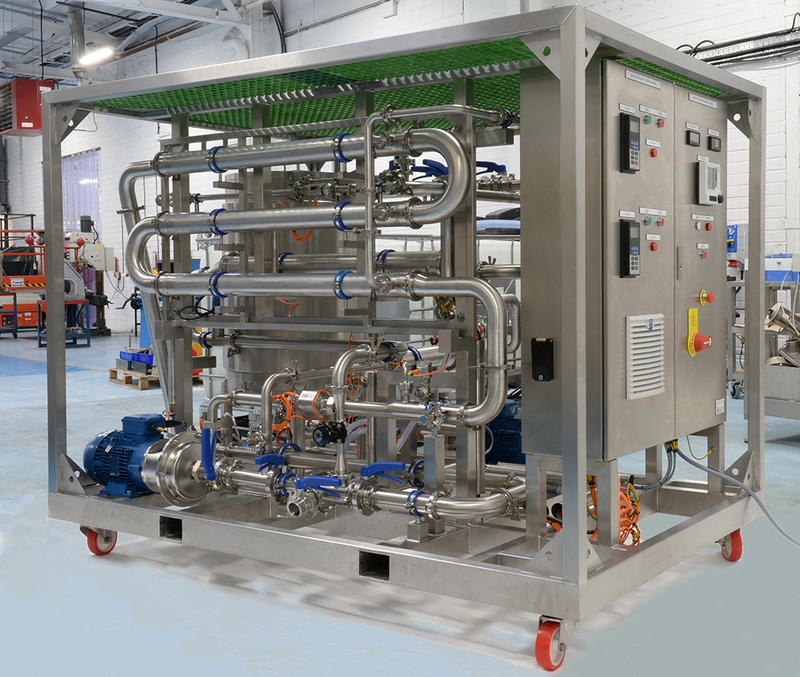 AXIUM Process’ new innovative and versatile membrane filtration pilot plant, together with its team of specialist engineers, are helping manufacturers develop and optimise their separation processes utilising Microfiltration (MF) and Ultrafiltration (UF) technologies. Pilot plant separation studies help to determine process feasibility, plant design and economics at an early stage and can give an accurate model of what a full-scale commercial plant could achieve. Axium’s new mobile pilot plant has been designed to be ‘plug and play’ and can easily integrate into an existing production plant minimising the set up time for companies wishing to conduct trials at their own site. The plant, which can be equipped with multiple interchangeable full-scale membrane modules including tubular, spiral, ceramic or hollow-fibre options, uses sophisticated data collection software and digital IO-Link instrumentation enabling an accurate and detailed representation of the physical separation/concentration level achievable from the feed taken from a representative process stream. Axium’s filtration engineers routinely carry out pilot trials either at customer sites or at Axium’s dedicated test facility on a wide range of applications which typically include dairy fractionation, cell recovery, clarification, extract filtration, protein separation, removal of suspended solids and bioburden from raw plant extracts as well as the removal of microplastics from water streams. The company maintains a comprehensive range of mobile membrane filtration pilot plants and supporting plant equipment such as prefiltration, heating and mixing skids as well as in-house laboratory services which are available for manufacturers wishing to evaluate their own particular process from a wide range of membrane filtration options.